Blueprintfit is an at-home blood test which helps anyone who lives a fit and healthy life find out how their body is responding to their diet and exercise, so they can improve their nutrition, fitness and overall health. Here is Part I of my journey and personal experience withBlueprintfit! Disclosure: This is a sponsored conversation written by me on behalf of Blueprintfit . The opinions and text are all mine. Thank you for supporting the brands and companies who keep Kroll’s Korner up and running! In my 26 years of life, I personally have not had to battle with any life threatening allergies. However, I do have a mother who battles an auto-immune disorder and has certain dietary restrictions and a boyfriend who is severely allergic to all nuts. It is because of their experiences I know a little bit of how scary it can be to live with allergies and/or sensitivities. Since I am a product of my mother, I have always been very curious to see if I have any allergies or sensitivities I was unaware of. I know I am not allergic to any of the top 8 major allergens. I would have discovered those out by now. But, how many times have you heard about this scenario? A friend gets a really upset stomach after eating yogurt or cheese and she wonders if she could have a slight sensitivity to lactose and starts playing the guessing game about what foods she should restrict and then 1 week later is self-diagnosing as lactose intolerant. As a Registered Dietitian Nutritionist that is one thing that really gets under my skin! 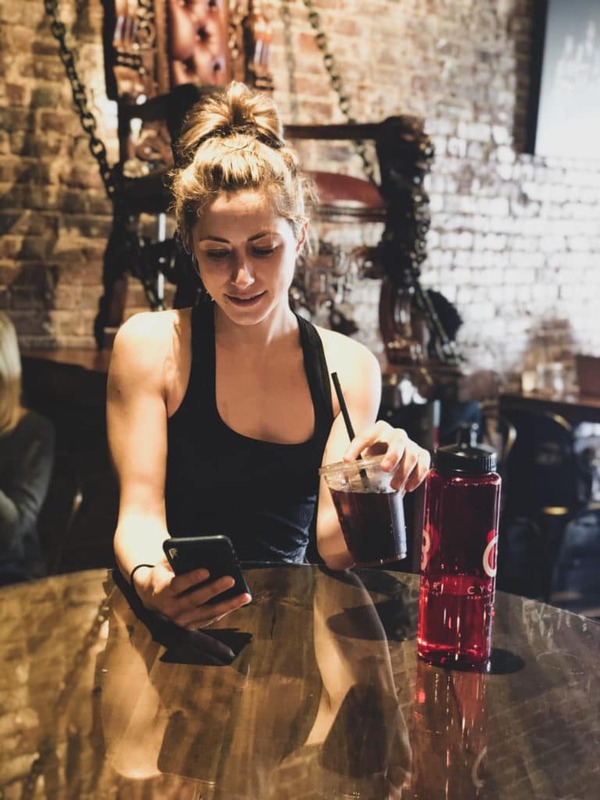 I have never really had much of a reaction or flare up to many foods – but my curiosity got the best of me which is why I wanted to try out Blueprintfit. Blueprintfit is a tool you can use to discover how your body is responding to diet and exercise. Through the process I was hoping to learn a little bit more about my body. The three tests I ordered first were “Blueprint One” “Nutrition” and “Food Allergens.” You might be wondering how this even really works. Blueprintfit has partnered up with Quest Diagnostics and they send a phlebotomist directly to your home to draw your blood. (Yes, you read that correctly.) After ordering the tests, Blueprintfit is in communication with you and they send your material for the blood to be drawn to your home. Then, via email you will be in charge of creating your appointment for the phlebotomist to come to your home at a time the best fits your schedule. At first, I felt like this was a little weird. But, it totally wasn’t since I was in the comfort of my own home. After the blood was drawn, I received my results 10 days later! Blueprintfit tests using IgE – Immunoglobulin E for Food Allergens. The IgE is an immune protein in your body that is associated with allergic responses or reactions. Different foods (like egg whites, peanuts, milk, etc.) that your body is exposed to through your diet have specific IgE proteins associated with them. Normally, IgE proteins are found in small amounts in the blood. I was able to choose which foods I wanted to be tested against. I chose foods I was curious about and foods I consume often to see if I had any association with those. The food allergen test I took measured specific IgE levels to the foods listed below. Before opening the results, I did not have high hopes in regards to the results – more curious than anything! The foods I was tested against were: Avocado, Banana, Cinnamon, Coconut, Coffee, Corn, Egg whites, Egg yolk, Garlic, Gluten, Halibut, Oats, Oranges, Pineapple, Rice, Salmon, Strawberry, Tomato, Tuna, Whey, Blueberry, Cow’s Milk, Sweet Potato, and Quinoa. My results: the biomarkers all came back in normal range for ALL foods. I have an absent reaction to all 24 foods listed above so my body would not experience an allergic reaction to them. I mentioned two other tests, “Blueprint One” and “Nutrition.” Think of Blueprint One as a general health test as a window inside your body. With this test, you can establish your body’s baseline values for health markers like cholesterol, white blood cells, vitamin D, cortisol, and protein. 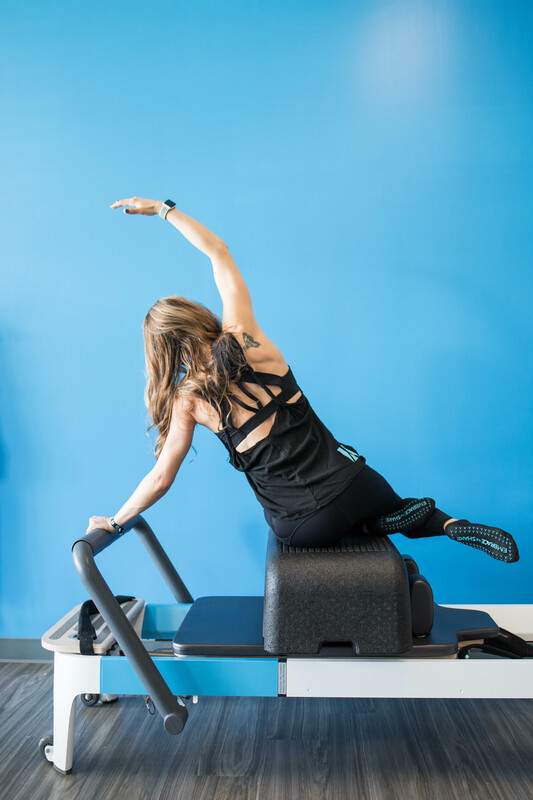 Blueprint One gives you a comprehensive snapshot of your body’s overall fitness and health. The Nutrition test tells you in black-and-white the status of your body’s key vitamins, minerals, and macro-nutrients like fats, carbohydrates, and protein. This test will help identify potential deficiencies so you can create an improved and customized nutrition plan. My sodium was a little high – this could be due to dehydration. Since I workout very often (Indoor cycling, yoga, pilates) I sweat a lot. This reminds me I need to focus on rehydrating post workout. Chloride also came back as high. Blood chloride can be elevated when the body loses excessive amounts of sodium through high rates of sweating…which makes sense since I workout often. What should I do? DRINK MORE FLUIDS! Even as a Dietitian I need to remind myself to drink more water. I am not too worried about CO2 being at 19 – however if carbon dioxide (bicarbonate) is low, it is usually the result of pH changes caused by respiration or metabolism. This can happen if there is an electrolyte imbalance in the body, particularly a deficiency of potassium. More kiwis for Tawnie! I was surprised to see my Omega-3 in the “medium” range. I need to be more mindful in choosing foods on a daily basis that contain omega-3 FAs. Examples of these foods would be salmon, tuna, extra virgin olive oil, walnuts and chia seeds. All foods I love! Pretty interesting isn’t it?! Blueprintfit has recently launched their new site and you can check out all of their stacks to see which one would be the best fit for you. My personal next steps are to focus on drinking more fluids and consuming more omega-3 rich foods. Funny enough, one of my personal dietary goals this year was to consume salmon & tuna at least 3x/week! One I make these dietary changes, I plan to retest and make my appointment to test Blueprint One and Nutrition (No need to test food allergens again). Are you interested in checking out Blueprintfit? Leave me a comment asking me anything about the process or company – I’d be more than happy to answer! Use my code KROLL30 for 30% off your entire order! This is so neat that you can do it at home! I have heard of this + have been wondering about it. Thank you for sharing all this information and your experience. Agreed 🙂 Thanks for the comment Whitney, hope you and baby are doing well! This is so interesting! I love how we can gain so much insight from lab results these days! Very cool! I’ve never heard of this testing before! Hmm interesting thanks for being the guinea pig! This is so interesting! I hadn’t heard of Blueprint Fit before. I will definitely be checking them out. It’s amazing what we can find out about ourselves through all of the new technology and tests available. I’d love to see what my omega ratio is. Isn’t it?! Such a cool company!